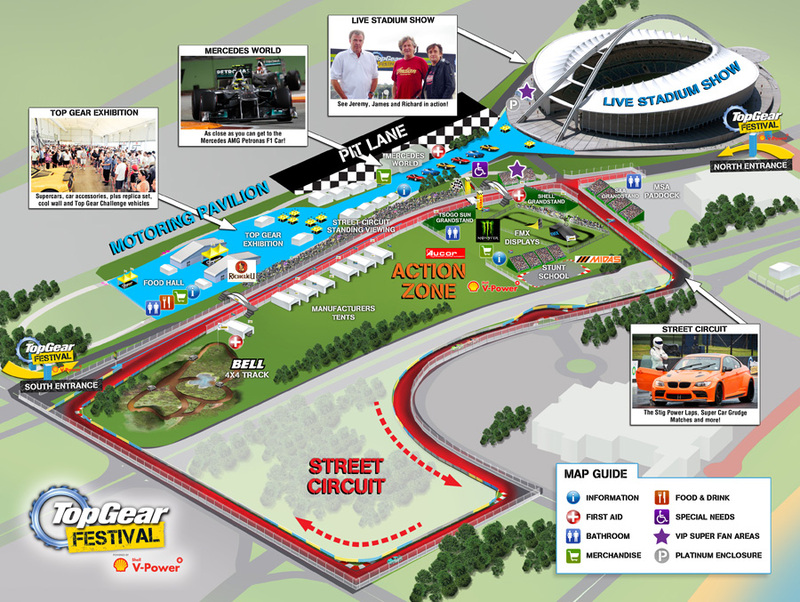 The Top Gear Festival powered by Shell V-Power is one of the most exciting happenings on Durban’s motoring calendar this year. Jeremy Clarkson, Richard Hammond and James May will join The Stig this June as they stage their biggest ever live show in the Moses Mabhida Stadium 16th & 17th June. In addition to the stadium show The Stig will be breaking out from the restraints of the stadium and taking to the streets of Durban in a Lamborghini Aventador and a McLaren MP4/12. VIP Super Fan Tickets available. Parking Map (PDF) – the parking method statement is also attached which will give you the directional routes suggested for people.